Margaret Mary “Maggie” Gajewski, 95, Pulaski, died Sunday, July 2, 2017, surrounded by her caregivers and family, Ron and Phyllis Gajewski. 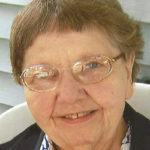 The daughter of Felix and Martina (Nowicki) Gajewski was born September 2, 1921, in Pulaski. Maggie was a graduate of Pulaski High School. She was a member of Assumption B.V.M. Parish, where she had belonged to the Young Ladies Sodality and helped with many of the Holy Name Society’s functions. At the age of 19, Maggie owned and operated her own ice cream shop in Pulaski. 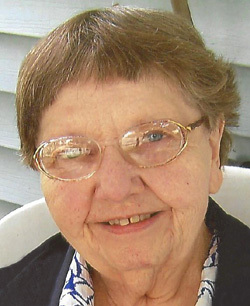 She also worked for her brother, Eugene, at the Gajewski Hardware Store. For many years Maggie was a crossing guard and enjoyed seeing the children every morning. She also enjoyed collecting antiques. Survivors include two sisters and one brother-in-law: Bernadette Gajewski, Brown Deer, and Anita Mae (Ray) McCarville, Grafton; many nieces and nephews, other relatives and friends. Maggie was preceded in death by her parents; two brothers and sisters-in-law: Eugene (Martha) Gajewski and Lucian (Lucy) Gajewski; one sister and brother-in-law, Rita (John) Ryczkowski; one nephew, Gary Gajewski; and one niece, Janet Alvarado. The Funeral Mass was celebrated at 12:00 NOON Saturday, July 8th at Assumption B.V.M. Church in Pulaski, Fr. Patrick Gawrylewski, O.F.M., presiding. Burial took place in the parish cemetery.